Although there are individuals who are pro-vaccine but are opposed to mandatory vaccination, mostly on a politically libertarian point of view, almost all of these groups, especially in California, are specifically anti-vaccine. In fact, “informed consent” is one of those veiled code-words used by the anti-vaccine world, especially in the fight against SB277, California’s recently enacted law that removes personal belief exemptions to vaccinations for school age children. This article is going to examine some of the issues around “informed consent,” then look at a recent statement from the radical anti-vaccine gourd, Physicians for Informed Consent. In real medicine, informed consent is the process of getting permission from the patient (or legal guardian of the patient) prior to a healthcare procedure or to participate in a clinical trial. Informed consent is said to have been given based on a clear understanding of the facts regarding the medical procedure, including potential risks and benefits. Only a person with adequate reasoning facilities can give this consent, thus parents usually give informed consent for children. Informed consent has become a ridiculous false flag for the anti-vaccine radicals, because they claim that healthcare workers are not providing patients (and parents) with adequate information for them to actually give informed consent. Professor Dorit Rubinstein Reiss has argued that the anti-vaccine world seem to have an improper view of what constitutes informed consent with respect to vaccinations. The situation is a little different for children: they do not consent directly for treatment, and while the rights of their parents to consent are protected, they are not as absolute as an adult’s right over her body – parents do not have unlimited right to throw a child’s life or health away. Nonetheless, consent is important in these contexts, too. Parents are usually the ones that make medical decisions for the child. And absent the unusual circumstances where the state intervenes, it’s just as important that parents’ consent be informed: they need to get the information that will help them make the appropriate decision in their child’s interest. …the (package) insert is a lousy informed consent document. It’s unwieldy and easy to be misread by a lay person (see also). It does not include some of the most important information needed for an informed decision – why should anyone get a vaccine, what is the most current research. And some of the information it does include can mislead, for example, listing reported events the vaccine does not cause. Three points about that. First, this additional statement does not provide you with additional information about the risks and benefits of the procedure. Second, what it will do is make the risks loom larger, and it might cognitively push you towards rejecting a procedure, even when the benefits outweigh the risks. That’s not exactly fair to you. Third, what if your doctor is wrong? The legal elements of malpractice claims are not something doctors should be expert on (and in fact, you hope your doctor has had little experience with such processes). The anti-vaccine view of informed consent is to vastly overstate the risks and basically ignore the benefits. All medical procedures have risks, anyone who states otherwise is sadly misinformed. Setting a broken bone has a small, but statistically significant, risk of a fat embolism that can be fatal – if your child has a broken leg, does the parent focus on that risk, but ignore the benefits of the procedure, that your child will walk again in a few weeks? I doubt it, but I guess it happens. For vaccines, the risks are vanishingly small (unless you’re addicted to dumpster diving in VAERS), while the benefits are immense. Yet, if you speak to anti-vaccine radicals, they try to state that the reverse is true. The risks are huge and benefits minimal for vaccines. The Physicians for Informed Consent is run by Dr. Shira Miller, MD, who apparently is a real physician who went to a real science based medical school. But she is a vaccine denier, who seems to state the she doesn’t want protect her children against vaccine preventable diseases by refusing to comply with SB277. I am not sure I would trust treatment of my children to a “physician” who denies basic concepts of infectious diseases. But that’s just me. Tetyana Obukhanych – a false authority in vaccines whose background betrays her claims about vaccines. She has published no peer-reviewed articles that establish her knowledge of vaccines, or their effect on the immune system. Christopher Shaw – a “vaccine researcher” who is on the faculty of the Department of Ophthalmology, not exactly a center of research for vaccine related topics. He is infamous for retracted articles (and here), for his “research” being utterly discredited by the World Health Organization, and for being funded exclusively by anti-vaccine money. Jane Orient – an anti-vaccine right winger who heads up the notorious Association of American Physicians and Surgeons, a group dedicated to ending Medicaid, Medicare, and healthcare for everyone. They believe that if you can’t afford healthcare, you have no right to it. They are the antithesis of what a real physician should be. In the late 1950s and early 1960s, right before the measles mass vaccination program was introduced, the chance of dying from measles was 1 in 10,000 or 0.01%. However, the public is generally unaware of this figure, as the CDC publishes case-fatality rates based on the number of reported cases only. Since it is estimated that nearly 90% of measles cases are benign and therefore not reported to the CDC, the widely publicized rate is 10 times higher than what is actually found in the general population. PIC’s measles educational materials, which include the Disease Information Statement (DIS) and Vaccine Risk Statement (VRS), provide data on total measles cases (both reported and unreported to the CDC) and available information on MMR risks. This allows for a more informed risk/benefit calculation. The documents, which have undergone peer-review and scrutiny by multiple clinical and statistics experts, are now available for public distribution. Talk about overstating the risks and understating the benefits. First of all, let’s review what the CDC says about complications of measles. From 2001-2013, 28% of children younger than 5 years old who had contracted measles had to be treated in a hospital. This is a point that I don’t get about people like the Physicians for Informed Consent – they don’t seem to care about children’s health. Taking a child to a hospital for a disease is never an easy experience. I’ve been there, taking a child to an emergency room, and even today, 25 years later, I can remember everything that happened. It’s traumatic to the child. And it is traumatic to the parents. I just think that Physicians for Informed Consent completely ignore the demonstrable fact that a large percentage of children with measles end up in a hospital. It’s an indefensible position. The Physicians for Informed Consent want to convince us that the death rate isn’t consequential, while completely ignoring the other serious complications from measles. They’re utterly focused on the mortality, not the morbidity. The CDC reports that 0.2% of children who are infected by measles will die. This isn’t a number that is pulled randomly out of the air, as implied by the press release (one of the lowest types of scientific information on the hierarchy of medical research) – it is actually derived from peer reviewed research published in a respectable journal. The Physicians for Informed Consent claim that the mortality rate is a bit lower, maybe 90% lower. Where’s there peer reviewed research to support that claim? Oh, there isn’t any. But let’s say, they’re right and the mortality rate is only 0.04% rather than 0.2%. Well that means that 2-3 children will die from every 10,000 cases of measles. But that’s still 2-3 children whose deaths could be prevented by vaccines. Are those potential deaths irrelevant to the Physicians for Informed Consent, because that’s what it sounds like to me? That’s their understating the benefits. But let’s look at their claims on the other side of the equation, the risks of the vaccination. They claim to be providing “documents” that show some mysterious risks of the MMR vaccine. They claim that their “documents” are “peer-reviewed.” I’ll stop here why everyone with a real scientific backgrounds laughs hysterically. No, it wasn’t independently peer reviewed. Their “documents” are not published in any type of reputable journal. It’s not even published in a disreputable journal. In other words, they could be just inventing random information, without spending the effort to get their claims published somewhere. Of course, then I could write an article laughing at the article, and another one laughing at the retraction of said article. If we’re working on the assumption that only the mortality rate from measles matter, then let’s look at this. Even using the baseless estimates of the Physicians for Informed Consent, there are more deaths from the disease than from the vaccine. 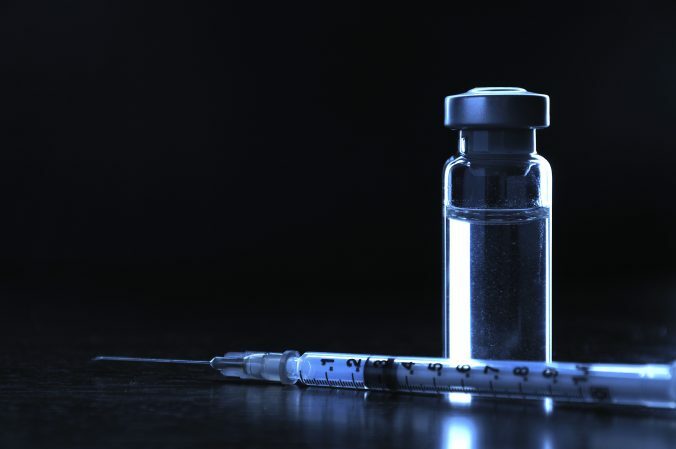 There has never been a death linked to the MMR vaccine published in any reliable source. None. The Physicians for Informed Consent don’t know much about informed consent. They are sadly misinformed about the topic. They underestimate and then dismiss the mortality rate from measles. They want us to believe that there are few benefits to the MMR vaccine. They vastly overestimate the risks of the MMR vaccine based on unpublished, unreviewed, statistically weak “reports.” Great science there. Atkinson WL, Orenstein WA, Krugman S. The resurgence of measles in the United States, 1989-1990. Annu Rev Med. 1992;43:451-63. Review. PubMed PMID: 1580601.